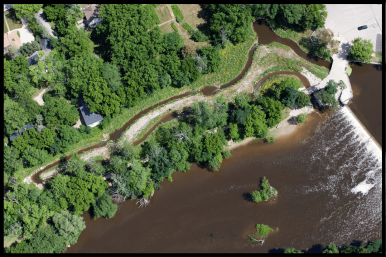 Ozaukee County will develop design plans to upgrade the Thiensville Dam fishway. The fishway was installed in 2010 and has provided a key link to fish passage on the Milwaukee River between Lake Michigan and the Bridge Street Dam in Grafton. To date it has succeeded in passing 37 different fish species. The proposed enhancements will allow it to function at its full potential, attracting more species and allowing larger fish, such as lake sturgeon, to move through it.